The people we met, those who travelled with us and the friends who made the trip to meet us are what made our adventure an excellent one. 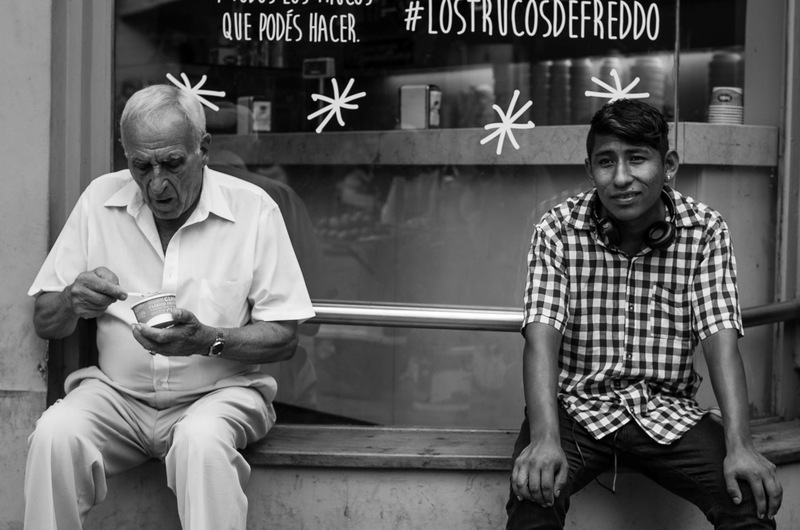 A challenge of mine was to try to record the people, characters and lives of those who we interacted with. I hope you enjoy viewing the photos as much as I did capturing them. Isn’t the world filled with the most wonderful and amazing people? 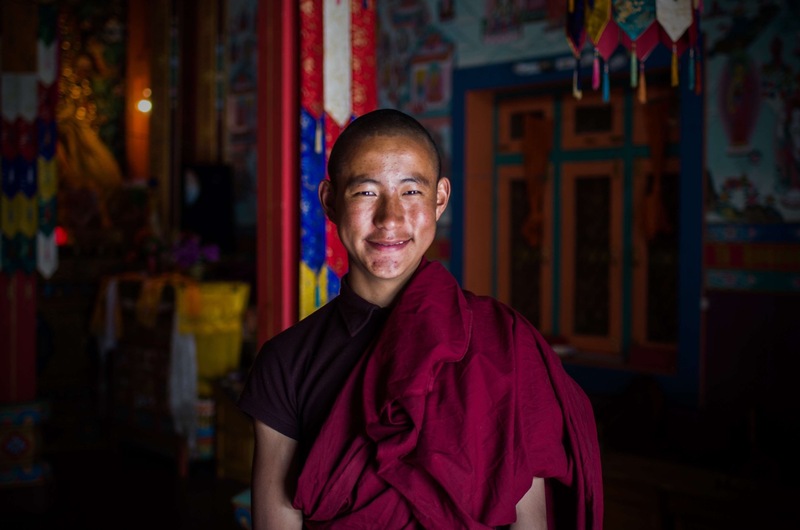 Student monk in a Buddihist monastary, Upper Pisang, Nepal. 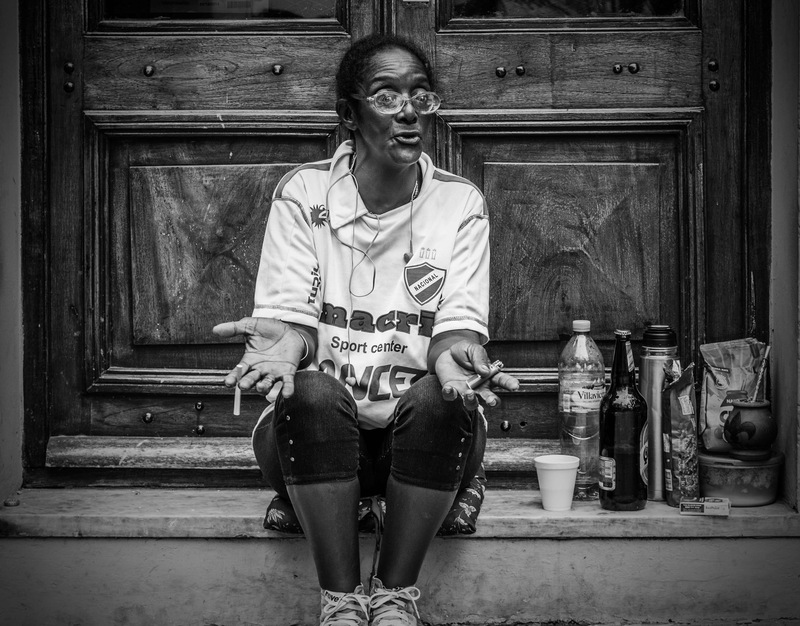 She was asking in Spanish why I wanted to photograph her…I think you agree with me she was worth it. San Telmo, Buenos Aires, Argentina. 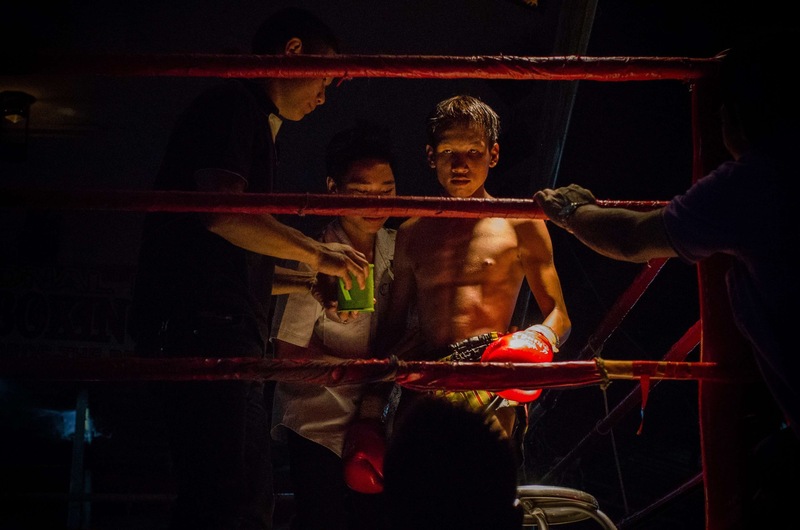 A Muy Thai boxer who is as competitive as you’ll see. Bangkok, Thailand. 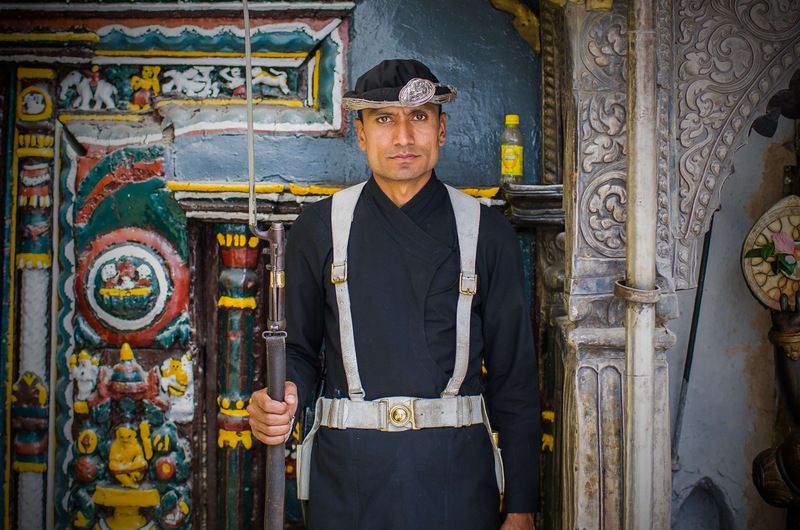 Stone faced guard offers more than just security, but a memorable image, Durbar Square, Kathmandu. 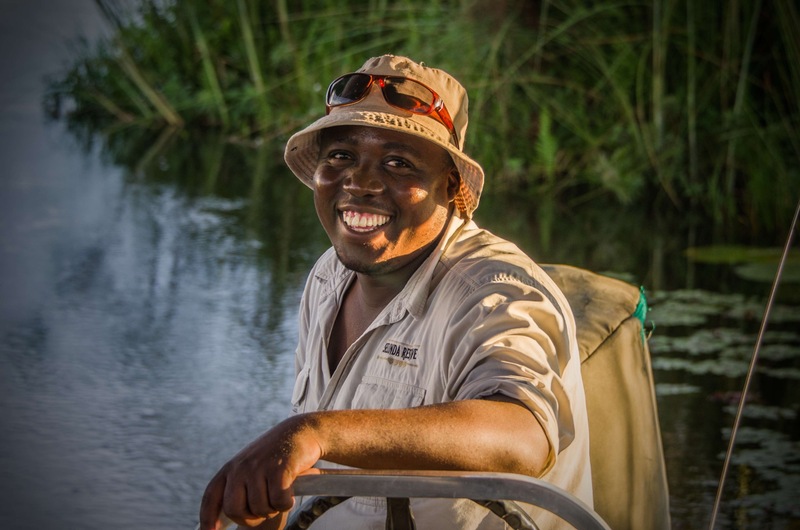 Alex, our boat driver keeping his spirits up as darkness descends on a broken down boat with hippo’s about, Okavango Delta, Botswana. 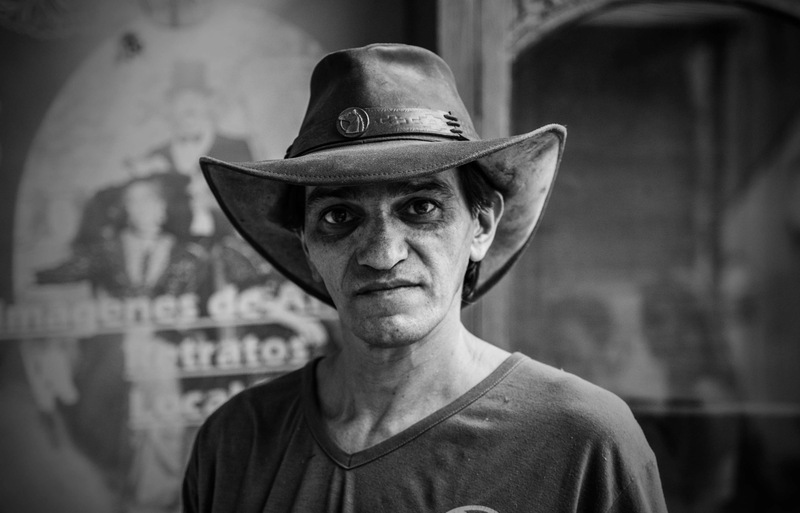 Some faces say it all, this knife sharpener expresses a sense of defeat that stopped me dead, Buenos Aires, Argentina. 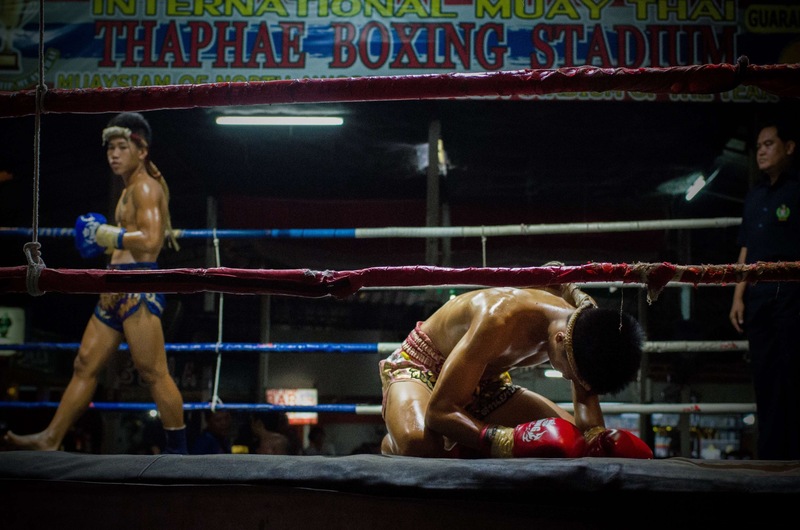 the contradiction of Muay Thai, sweet innocent boys and girls channel gods and demons upon entering the ring, Chiang Mai, Thailand. 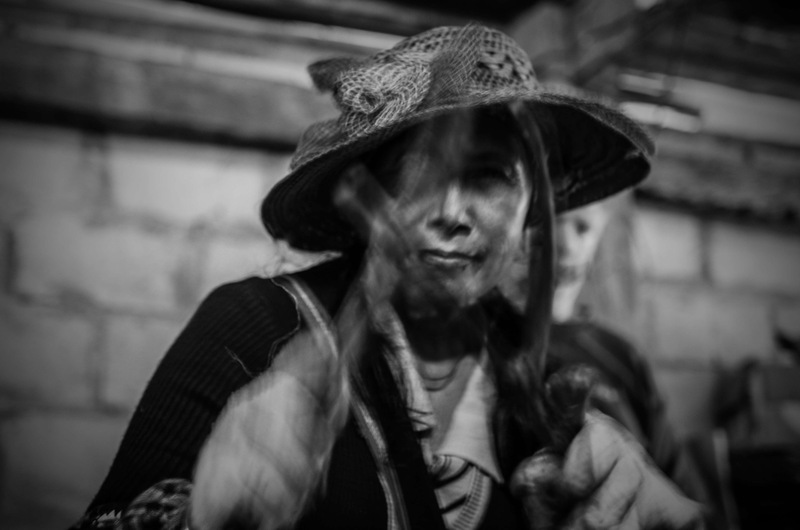 Mrs Li, cooking puer tea leaves. Nanoshan, Yunan, China. This lady who sold caramalised crab was having a little trouble understanding Steve. Nha Trang, Vietnam. 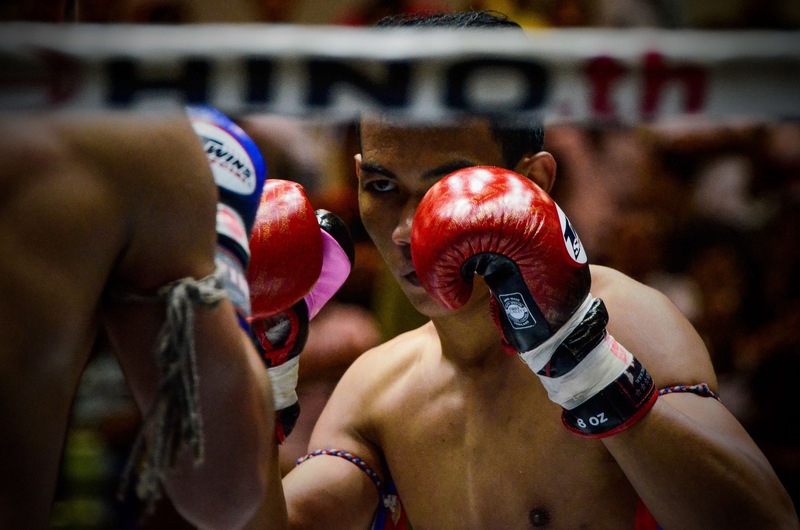 Muy Thai boxers conducting their pre bout ritual. Chiang Mai, Thailand. Steve with his face mask on and riding his steed “Greg”. 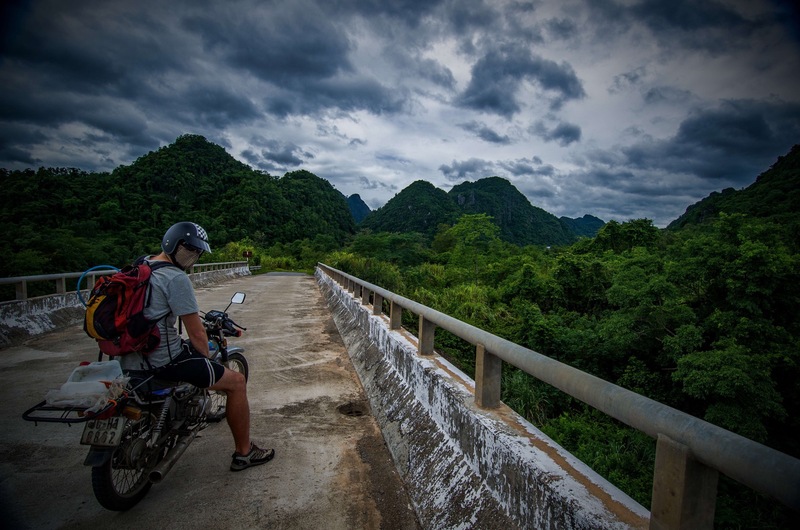 Phoing Nha , Vietnam. 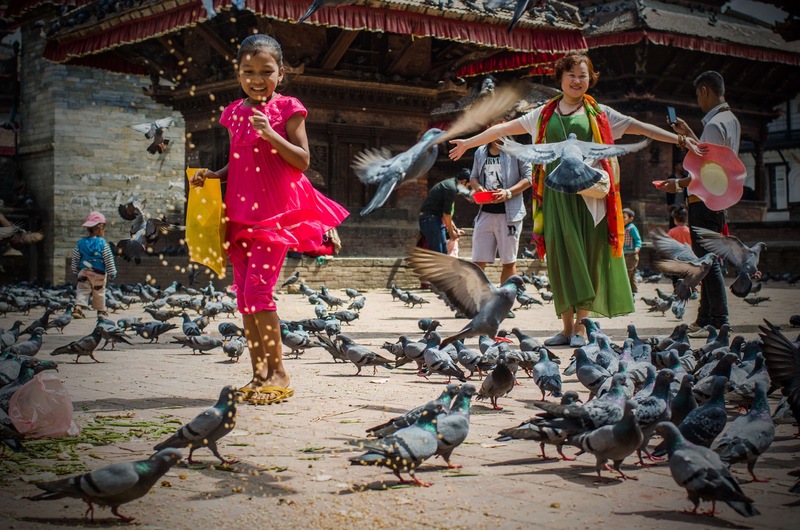 Playing amongst the pigeons, Durbar Square, Kathmandu. About 2 weeks before the earthquake. 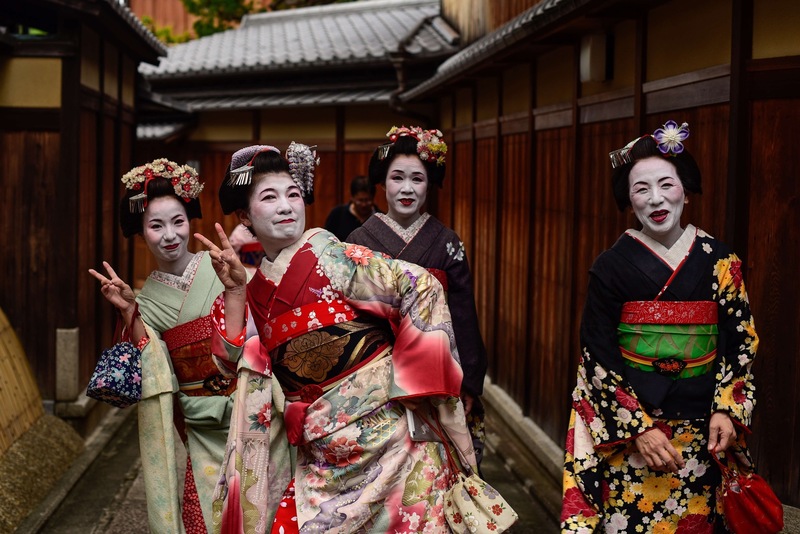 Geisha’s in the back streets of Kyoto, Japan – giving us their selfie pose. 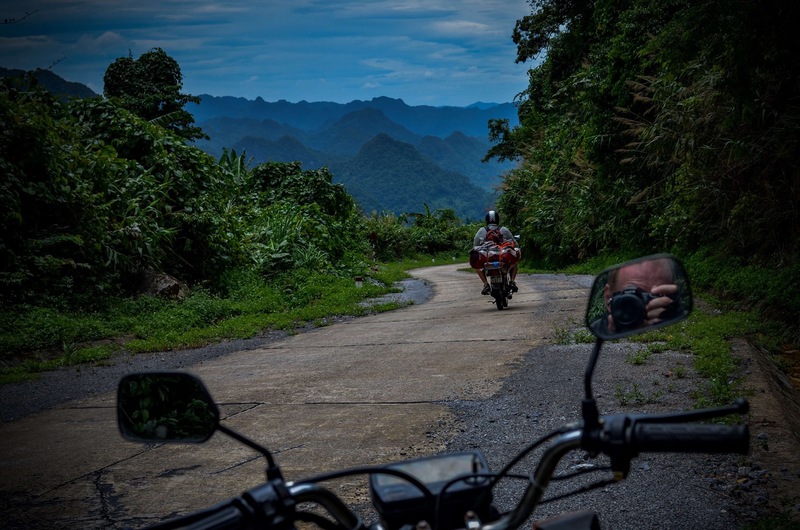 As much as the adventure was about other people, it inevitably was about us, Steve and I hitting the road to see the world, Phong Nha national park, Vietnam. 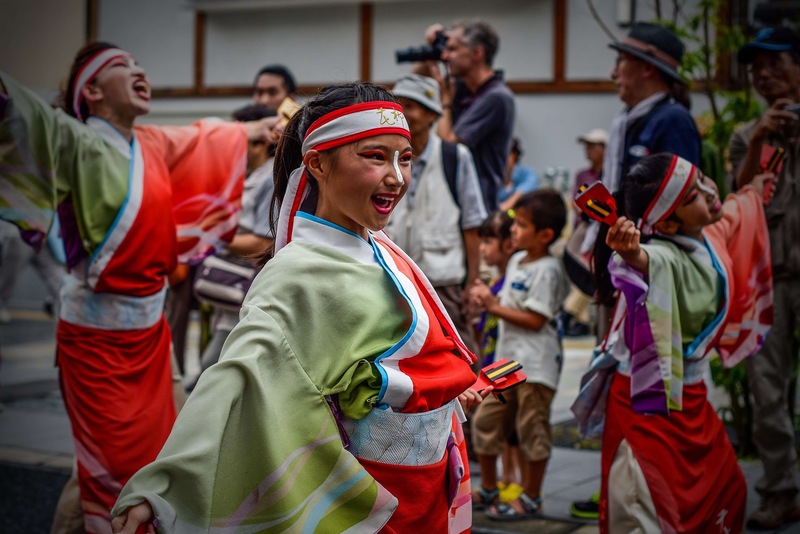 The world is a big place as much as it is a small one as cultures from each country constantly reminded us, Nara, Japan. 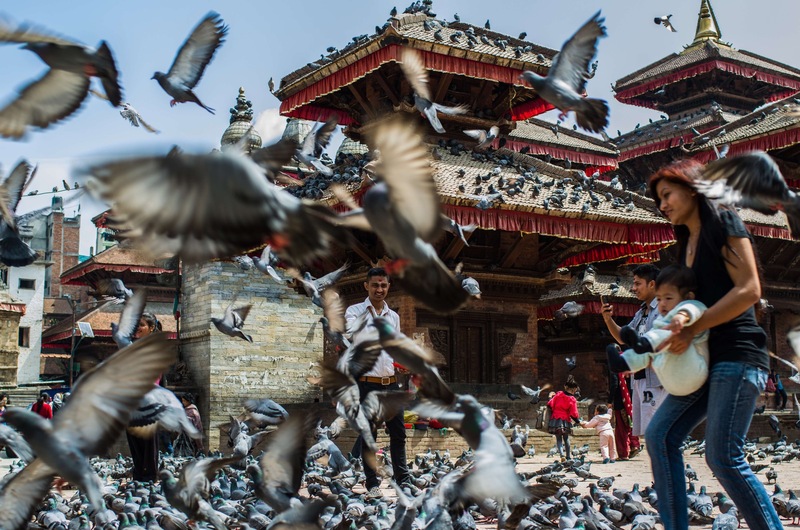 Just days before Nepal was rocked by an earthquake Durbar square was a spiritual hub of shrines and temples. In a few days these smiles were nowhere to be found, Durbar Square, Kathmandu, Nepal. 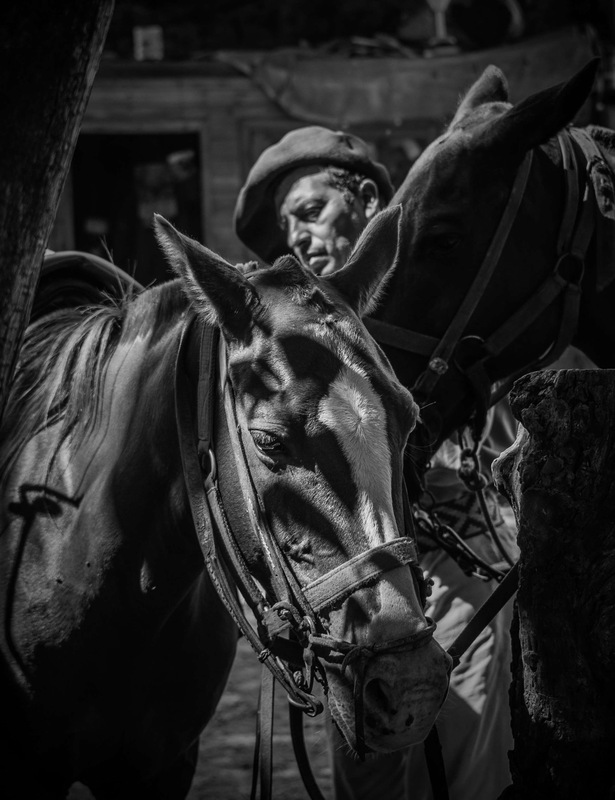 A Gaucho readies the horses before our ride. 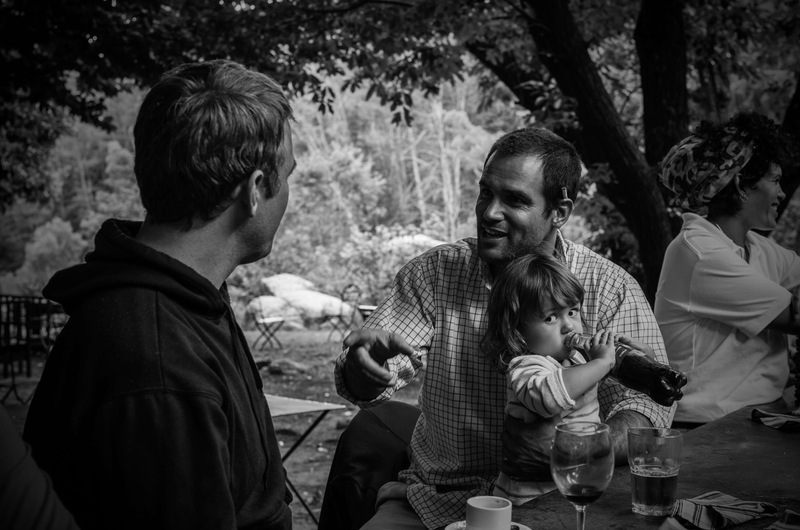 We lived close to this simple beautiful culture that revolves around horses for a few days, Sayta ranch, Argentina. 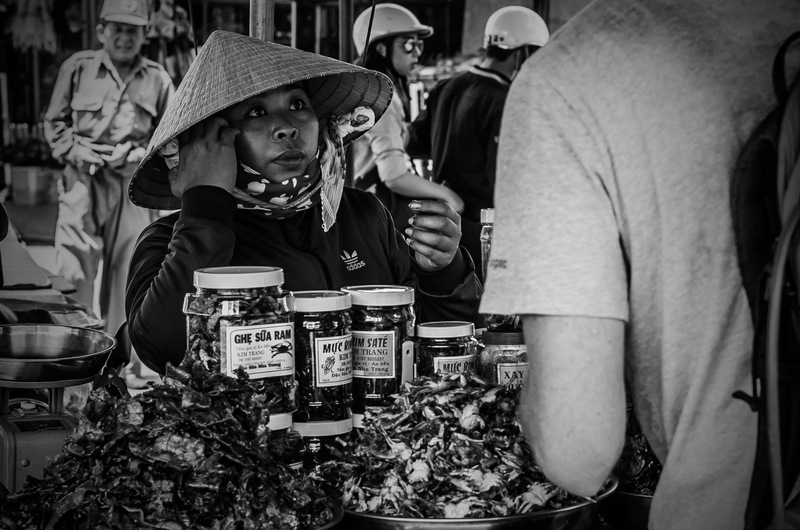 Exploring the market. 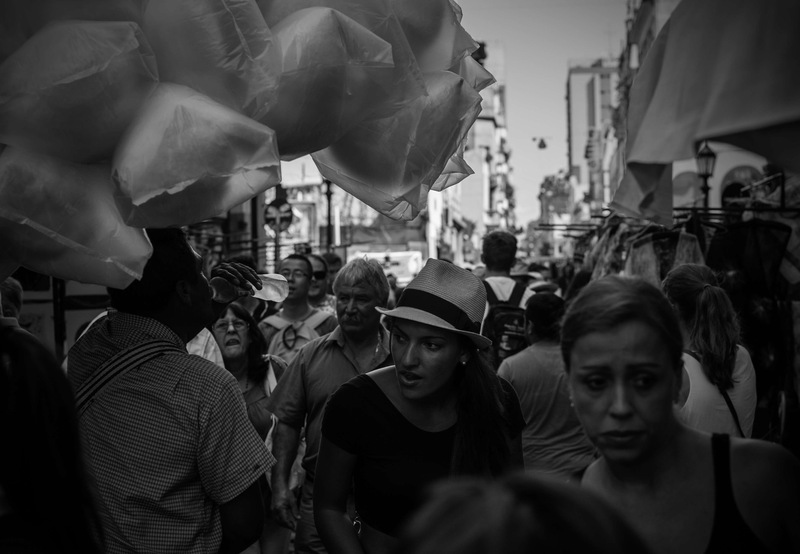 Who doesn’t hope to find that hidden gem, a rare antique or the perfect gift, Buenos Aires, Argentina. 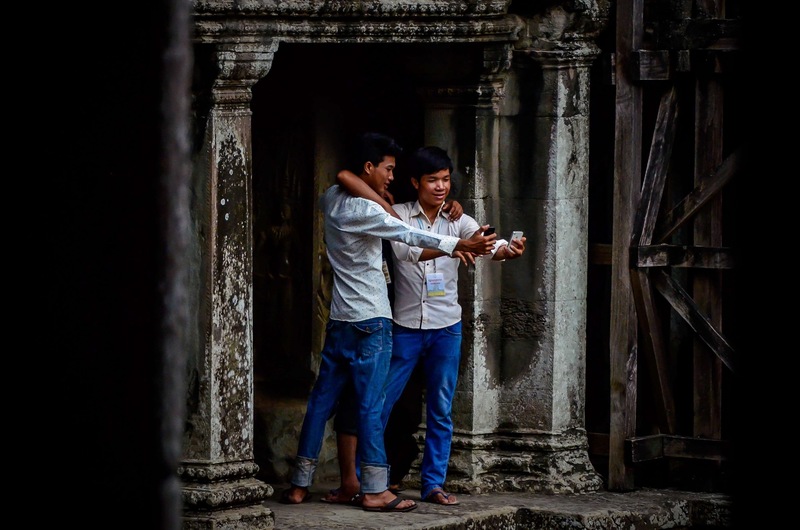 In the ancient temples theres still time for a selfie. The old world persists with the new, Angkor Wat, Cambodia. Dad’s distracted and a moment is all this cheeky girl needs; those eyes. La Constancia, Argentina. Life is never a stress. 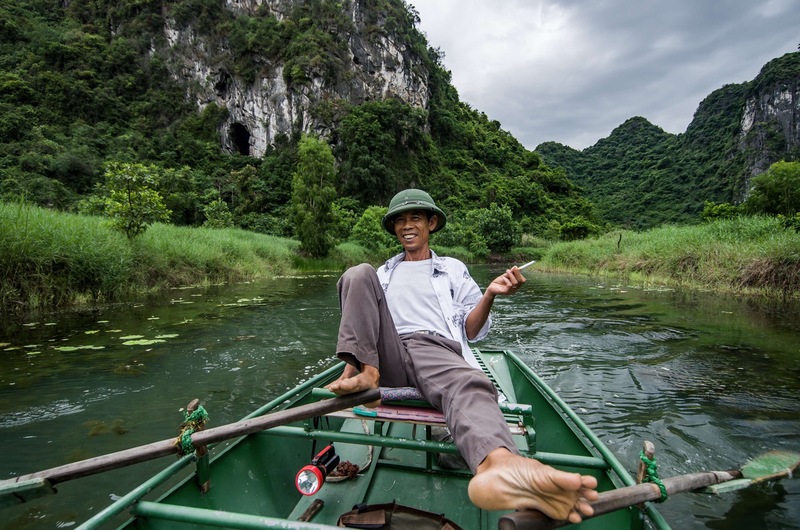 A boatmans day always has time for a smile and a cigarette, Tam Coc, Vietnam. 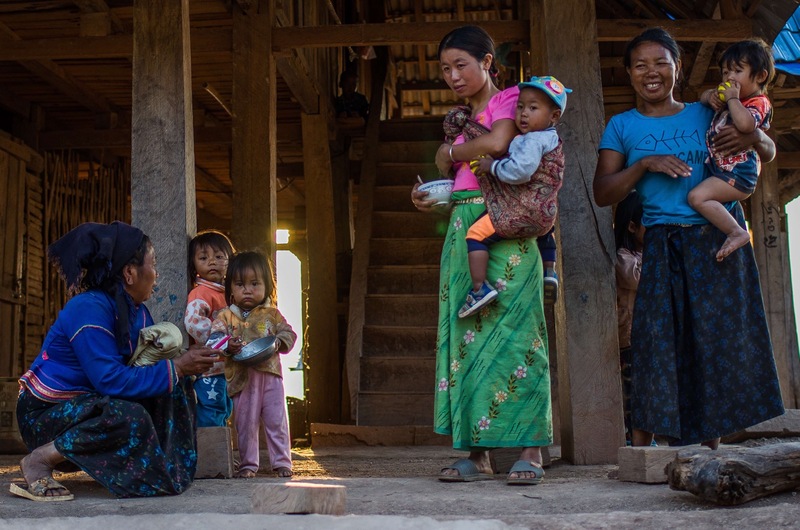 Home Life in rural Chinea sees extended families living together to harbour communal support. Life is tough and life is loving, Bada, China. 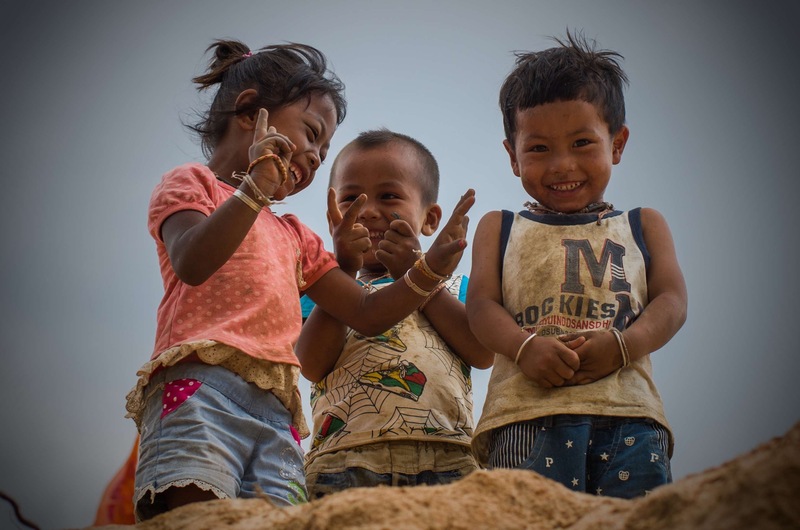 Why are the financially poorest people in the world so often the happiest? Yunnan, China. 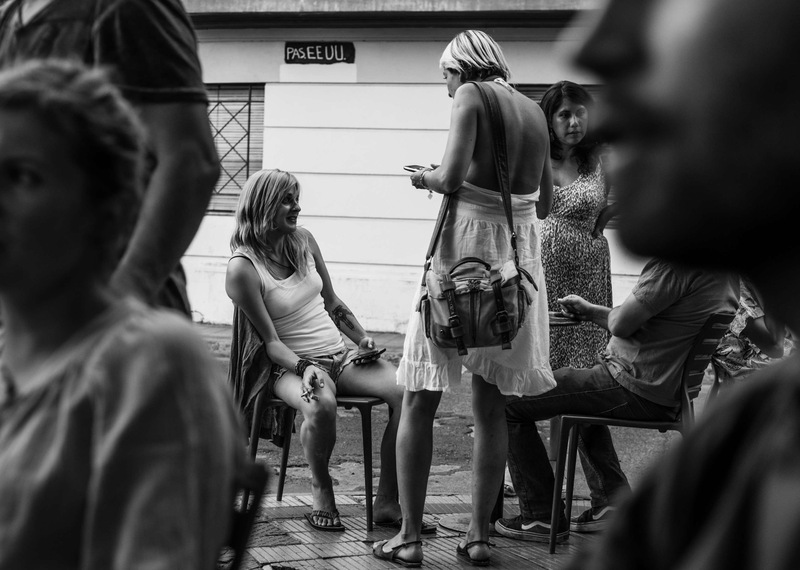 Some people just have character that you can’t ignore, Santiago, Chile. 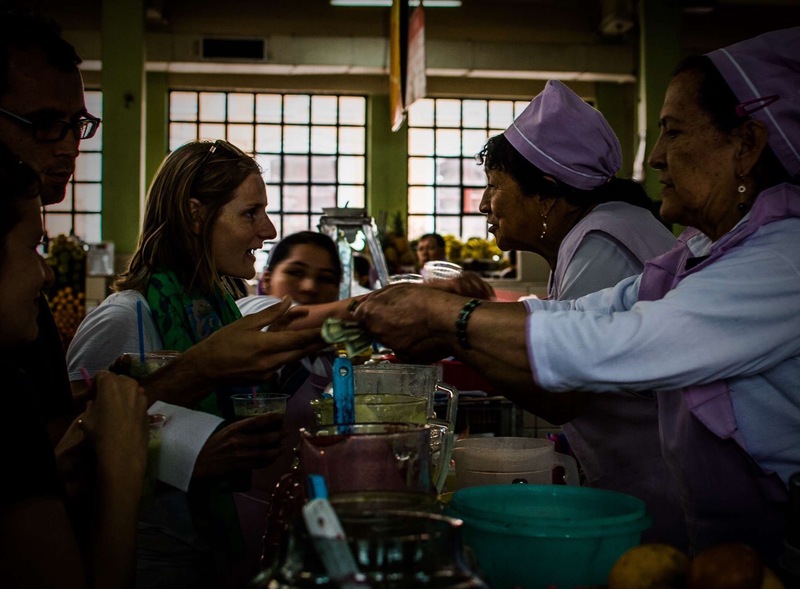 Getting this maracuja juice is just so exciting, Quito, Ecuador. 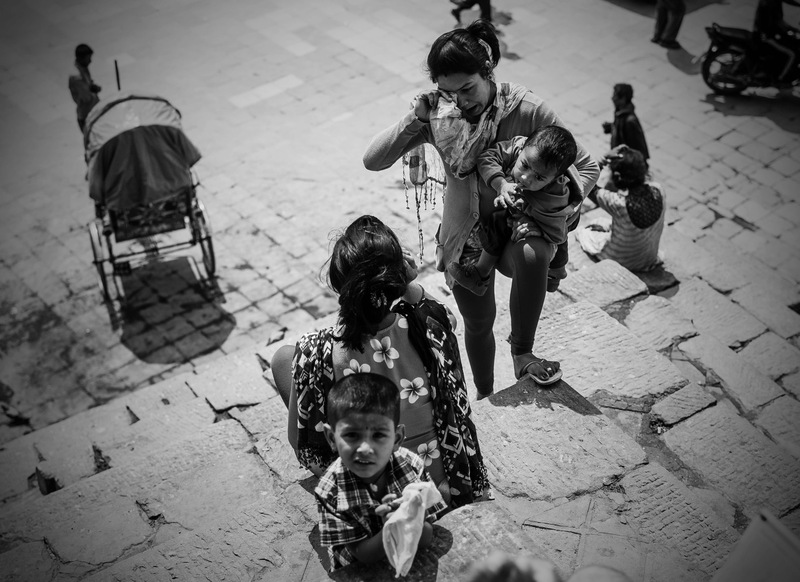 Another moment just days before Durbar Square was reduced to rubble. Are these among the survivers or names on a memorial? Kathmandu, Nepal. Some people just love their job,: preparing Steve for a zipline, Xuay Xia, Laos. A very racially divided view of Argentina in what is thought to be the most European country of Latin America: source of pride or shame? Buenos Aires, Argentina.